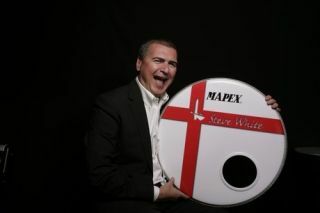 Visitors to Poole Percussion this summer will be able to take tips from a very special tutor - Steve White. Steve will give one-on-one lessons between 10 and 13 August, which we think must be one of the better ways for you to brush up on your technique. Not only that, Steve will also put on a clinic at Mr Kyps on 9 August and he'll be on hand to give in-store demos as part of Poole Percussion's BBQ Extravaganza Weekend (which will also include a drum swap and sale meet). Last weekend Steve lined-up alongside Blur's Dave Rowntree at Sense's Big Beat Drumathon. Of course, Steve will also be appearing at the London Music Show in October. For more on what is sure to be the music-making event of the year, click here.